Warner Bros. Pictures announces “FANTASTIC BEASTS: THE CRIMES OF GRINDELWALD” as the title of the second of five all new adventures in J.K. Rowling’s Wizarding World™. 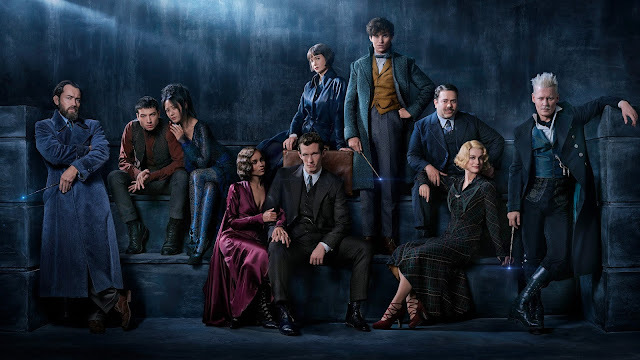 Opening November 16, 2018, the film features an ensemble cast led by Eddie Redmayne, Katherine Waterston, Dan Fogler, Alison Sudol, Ezra Miller, with Jude Law and Johnny Depp. “FANTASTIC BEASTS: THE CRIMES OF GRINDELWALD”is being directed by David Yates, from a screenplay by J.K. Rowling, and produced by David Heyman, J.K. Rowling, Steve Kloves and Lionel Wigram.